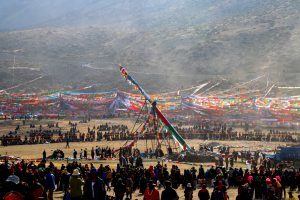 Tibetans consider the Saga Dawa festival to be one of the most auspicious religious practice in their life. In Tibetan “Saga” is the name of a star most visible during the fourth lunar month of the Tibetan calendar and “Dawa” means month. The festival is one month long, starting from the new moon of the fourth month, and ending with the full moon of the next month. In Gregorian calendar it usually falls on May – June. The full moon day or 15th day of the month is called Saga Dawa Duchen. It is the most special day of the month. 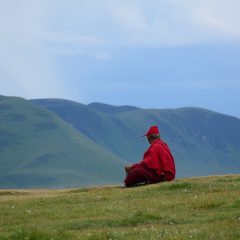 In Tibetan “Dunchen” means great occasion. 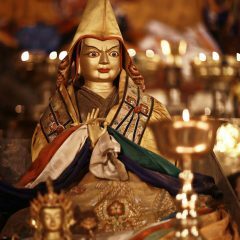 It is the most important day in Tibetan Buddhism. 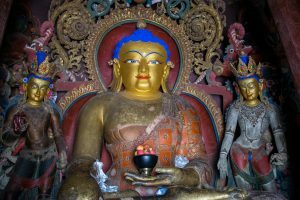 According to the scriptures, the date of Buddha’s birth is different from conventional viewpoint. It is not the date when he was born, but the day when he entered the womb of his mother. In other words, it is the day of his conception. According to the Buddhist philosophy, the first moment of the consciousness with the contact of parent’s cells in the womb of the mother is considered to be an actual birth. It is the very beginning of the life or rebirth. That’s why the moment when historical Buddha entered the womb of queen Mahayana of the Shakya Royal family on the full moon day of the Vesak month is regarded as Buddha Shakyamuni’s birth. At the age of 35 Buddha presented his attainment of enlightenment under the Bodhi tree in Bodhgaya. The earth trembled at that moment as he touched it. That’s why you can see Shakyamuni Buddha with a touching earth gesture on sculptures and paintings. At the age of 80 historical Buddha performed his last deeds and entered into Parinirvana in Kushinagar. Tibetans strongly believe that all good deeds help accumulate good karma. You will carry it for your next life and all virtues acts will help with a favorable rebirth. They also believe that the merit of worthy acts is multiplied during the holy festival. That’s why Tibetans dedicate the entire month to making merit. The fifteen day is one of the most sacred days to earn good merit. According to Buddhism, all good deeds during that time are multiplied 100,000 times. Pilgrimage to holy places. 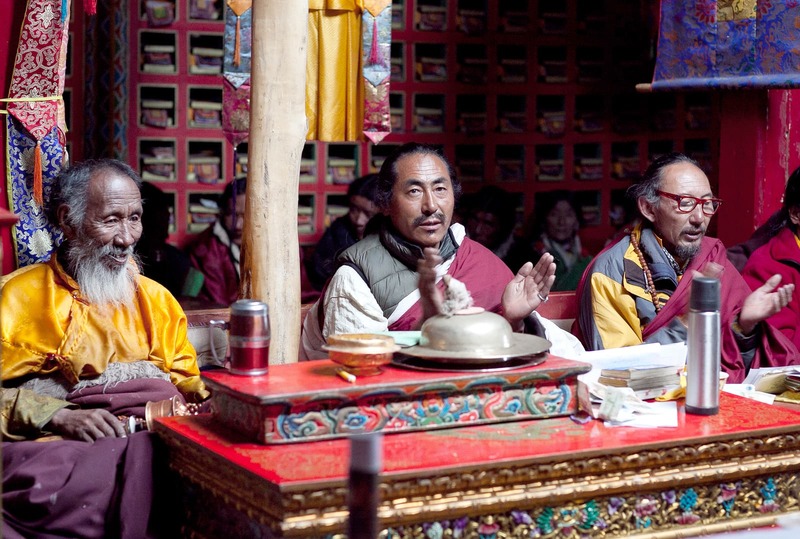 Pilgrims from all over Tibet visit the most sacred sites. 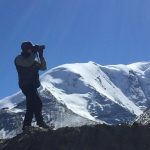 The most important and popular places are Lhasa and Mount Kailash, one of the most sacred places in Tibet. Atmosphere in the holy places is festive and spiritual. It makes it one of the best times to visit for tourists. 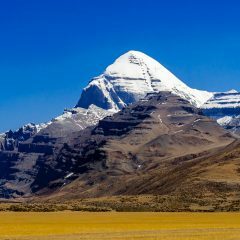 One of the best places to visit during Saga Dawa is Mount Kailash. It attracts thousands of pilgrims. A new flagpole is erected every year at the base of the mountain. 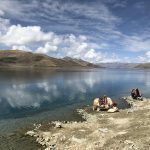 It is great time to travel to Mount Kailash and join pilgrims walking the kora, a holy circumambulation around the Mountain. 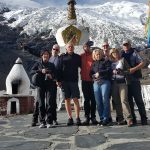 Visiting monasteries. 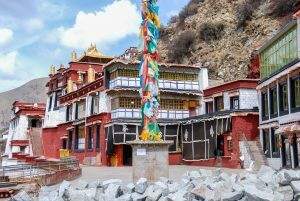 During the Saga Dawa, people visit monasteries, temples, stupas, as well as holy mountains, lakes, caves and other sacred places. Pilgrims offer butter lamps, burn incense, pray and recite mantras. Some perform whole body prostrations. 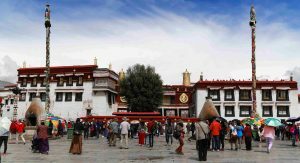 In Lhasa you can see many Tibetans visiting Jokhang temple, Potala Palace and walking around the Lingkhor path. Lingkor is the first City ring, about 10 km long. Offering donations. The generosity (Dana), act of giving is very important during the holy month. 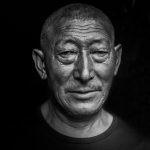 Tibetans make donations to poor people, monasteries and temples. Refrain from eating meat. Tibetans not only stop eating meat, but also try to save animal lives by buying and freeing animals from slaughter’s hands. 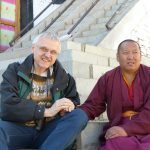 On the fifteenth day, many people, both monastic and lay have only one meal before noon and follow the eight Mahayana precepts. the sacred scriptures, which helps to avoid the bad luck and bring good fortune to all the living beings. One of the most spectacular sights is the Cham Dance. 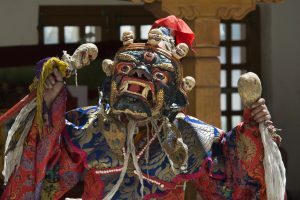 During the Cham dance a group of monks dress up in religious clothes symbolizing different deities and protectors. They wear masks with different images of god and animals. 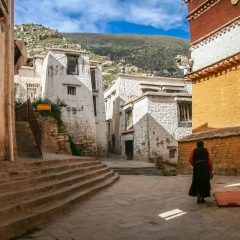 During the auspicious festival, pilgrims hire a vehicle and visit venerated monasteries from all over Tibet. Many pilgrims also trek to Mount Kailash during the occasion. At the foot of the Kailash Darpuchi ceremony takes place every year on the fifteenth date of the fourth month of Lunar calendar. People gather to take down the old flagpole with hundreds of colorful prayer flags and replace it with the new one. The group of monks recite scriptures and play religious instruments. Pilgrims throw barley flour which is believed to bring luck. During the ceremony tourists from all over the world visit the sight and enjoy local events. During Saga Dawa Tibetans visit holy places. Lhasa is one of the best places to visit during the festival. 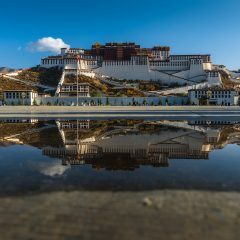 As a capital, it attracts many pilgrims from all over Tibet. Streets of Lhasa become crowded and you will enjoy its festive atmosphere. 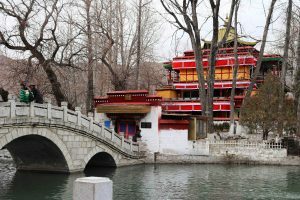 visit Lughang temple in a small island behind the Potala Palace. This small temple is an important pilgrimage site during the Saga Dawa. This three story temple is famous for its wall murals. This sacred mountain attracts pilgrims from four religions: Buddhism, Induism, Bon and Janaism. 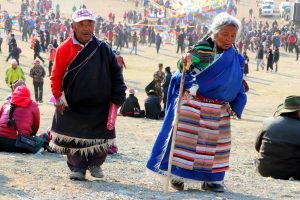 During Saga Dawa, Tibetans travel to the mountain from all over the country. The celebration begins at the full moon day. On that day they take down the old flagpole at the foot of the mountain and erect a new one. It is a spectacular event, as the flagpole is very tall and heavy. People bring prayer flags to hang then and these flags will be sending thousands of prayers with every gust of wind. 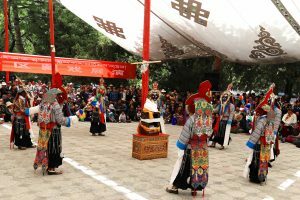 You can visit Tsurpu or Drigung Til monasteries to watch the famous Cham Dance. Monks perform it dressed in elaborate costumes. These costumes represent various deities and protectors. Each dance has an important religious meaning, that’s why only monks can perform it. 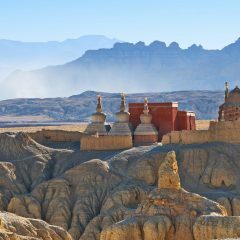 You can reach these monasteries within one day traveling from Lhasa. 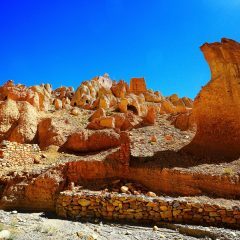 They are located in a beautiful natural setting, surrounded by mountain ranges and vast green valleys. Tsurpu monastery is the seat of Karmapa. Although it was severely damaged, it is now undergoing restoration work and you can visit many important chapels. 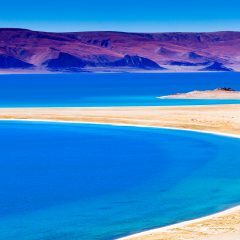 This special tour takes you to the sacred Mount Kailash during the biggest festival of the year. Saga Dawa Festival celebrated the day of Buddha’s birth, enlightenment and death. 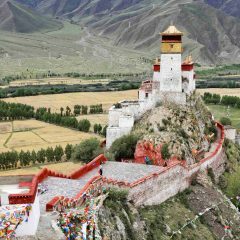 It attracts thousand of pilgrims from all around Tibet, India and the world. 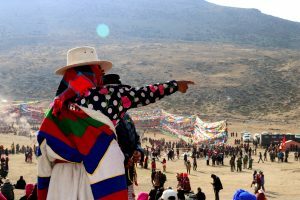 You will see the greatest diversity of Tibetan national dress as people wear their best clothes for the festival. 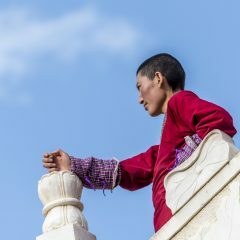 Visit Tibet during one of the most spectacular events during the year – Shoton or Yogurt festival. 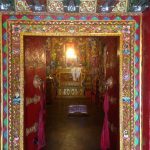 During this festival Sera and Drepung monasteries display giant religious paintings – Thangkas. This even happens only once a year and you can watch how monks unroll the thangka for people to walk around it and get blessing. Only a few hours later thangka is rolled back up and stored until the next year. 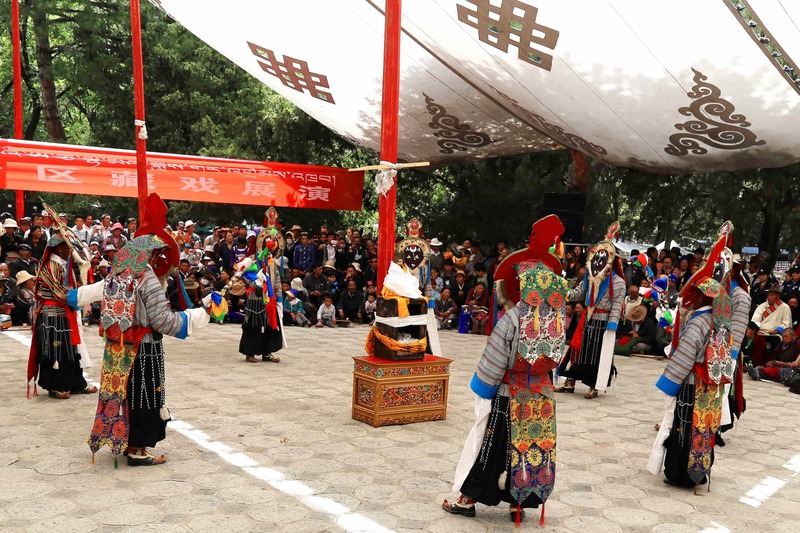 The festival falls on summer day and it is a great chance to experience authentic Tibetan culture. Price for 15 days tour is USD 1700 plus single stay hotel supplement for solo travelers USD 200. It includes all necessary permits, hotels and guesthouses, tickets to all landmarks in the itinerary, guide and transportation services.